Virtual viruses corrupt the system. Real ones have exposed it. The mystery fever that attacked Siliguri, a small town in West Bengal, this year is yet to be identified, but it definitely unmasked the rot in India's medical system. What began as sporadic incidences of strange fevers gradually gripped the entire town. Schools were closed. People refused to leave their homes and when they left, they used handkerchiefs as protection -- even the bride and bridegroom covered their faces. The panic was unprecedented. Medical practitioners fled the town fearing the fever was contagious. The fear of the unknown had struck. But there was little respite. Over 37 people lost their lives. "What do we do? We don't even know the cause," rued a helpless Bikash Ghosh, the mayor of Siliguri. Meanwhile, the soothsayers of the medical fraternity were having a field day. All sorts of causes made it to the front pages of newspapers. From Japanese encephalitis, cerebral malaria and plague to mutating measles and what not! The panic also triggered a political turmoil in the state. The opposition Trinamool Congress in the state demanded the resignation of the state health minister even as the death count continued to rise. Inside parliament, the country's medical system virtually crumbled as a hesitant health minister admitted the government's inability to identify the fever. Even after eight months, the government claims to be close to identifying the fever. But nagging questions on the credibility of the identification process and the system are just coming to the fore. The Centres for Disease Control (cdc), Atlanta, usa, was called in. It analysed samples and a detailed report was sent in early September. However, the Union government has not made the report public. Down To Earth has learned that W J Bellani of cdc, in a letter to Robert Kim-Farley of the World Health Organisation (who), New Delhi, has narrowed the causal pathogen to be either Nipah or Hendra-like virus. D Neogi, head of the virology department, Calcutta School of Tropical Medicine corroborates this fact. The Nipah virus epidemic took place in Malaysia in 1999, where pigs were reservoirs. The Hendra occurs in Australia in horses and people. Siliguri and its neighbouring areas have a large population of pigs. But how the virus surfaced here is not known. The lack of coordination among the various government departments is apparent. Neogi, who was a member of state fact-finding team visiting Siliguri during the crisis, claims that he had suspected the pathogen to be Nipah right from the onset. He apparently had told the director of the National Institute of Communicable Diseases (nicd), New Delhi . But nicd experts negated his view, instead propagating the theory of mutating measles. The turn of events from early February in Siliguri clearly reveal the level of under preparedness and the lack of expertise and coordination within all the stakeholders -- be it the government or scientific fraternity. Rae Bareli in Uttar Pradesh has a tryst with strange monsoon fevers. Doctors say every year there is a sudden rise in the number of fever cases. This year it claimed 18 children. Though the district administration put the body count at two, the district hospital's records show seven children died of 'suspected brain fever' between mid-August and first week of September. In this period, more than 60 fever cases were registered in the Rana Beni Madhav Singh hospital, the district hospital of Rae Bareli. But hospital officials claim the issue has been blown out of proportion. "Only a few cases went undiagnosed, the rest were natural deaths," says R N Bharadwaj, chief medical superintendent of the hospital. Officials say that the patients complaining of fevers died within half-an-hour to one hour of admission. To ascertain the cause is, therefore, impossible. "Twenty-six blood serum samples were sent to Sanjay Gandhi Post-Graduate Institute of Medical Sciences (SGPGI), Lucknow, and four were sent to nicd," says R S Pandey, deputy chief medical officer (Epidemics), Rae Bareli. The results are intriguing. SGPGI says that 14 out of 26 cases tested positive for Japanese encephalitis. "Interestingly, all 14 persons who tested positive are alive, though a 30-40 per cent death ratio is generally recorded in such cases," says Pandey. Then what was the cause? "It is difficult to say. We tried to repeat the tests, but could not coordinate with the patients," adds Pandey. Another way could have been to analyse post-mortem results. But they were not carried out. So till the time a detailed study is carried out, Rae Bareli's cup of woes will keep overflowing. Situated in the rural backyard of the industrial city of Meerut, Khiwai witnessed a major outbreak of a mysterious fever with 'Japani viral' (possibly a local name for Japanese encephalitis) in 1997. According to Rohshanlal, chief medical office of Meerut, a large number of children, between the ages of 2-8 years, mostly boys, suffered from continuous fever and coughing, vomiting and shivering. This viral infection is suspected to be waterborne. "There is no protocol, except for the use of blood slide to diagnose malaria. Hence, mysterious fevers remain undiagnosed. NICD too has not submitted its report on the incident," says Rohshanlal. Shabbir Ali's four-year-old son had vomiting, behavioural changes and loss of appetite and sight. He succumbed to the fever 14 days later. Fourteen children died in all. S K Singh, medical officer-in-charge for Khiwai village says the village is densely populated and there is little awareness about health and hygiene, and their only source of water is a stagnant pond that is poorly managed. However, the cause of the 1997 outbreak is not understood according to local medical officers and the NICD. A nondescript and remote block of Sarguja district, Wadrafnagar in Chattisgarh, made headlines in July this year for all the wrong reasons. A strange outbreak affected 66 villages and claimed more than 100 lives within a span of two months. Local people allege that this is a conservative estimate and the actual figure could be more than 300. According to statistics of the district health officer, M H Parmar, a total of 14,333 cases were reported by the end of August, out of which 1,288 cases were due to gastroenteritis. Deaths were reported from 24 villages. Out of the total of 115 deaths that took place, 46 were due to gastroenteritis. "Most of the other cases were categorised as viral fevers of 'different nature'," says Parmar. He, however, admits that no one is quite sure of the type. NICD director K K Datta says that it was an attack of cholera and the local officials had been informed. Local officials, however, say that they have not heard anything from NICD. "It is now a trend. There is nothing to be alarmed," says J N Pande, head of medicine, All India Institute of Medical Sciences, (AIIMS). "Every day our out patients department receives a sizeable number of patients who suffer from frequent fevers." Delhi is particularly notorious for viral fevers -- since 1986 three major peaks of viral fevers were seen during the change of season from winter to summer to monsoon and again to winter. These fevers have no distinct morbidity patterns but have a differing pattern of virulence. Children and adults, women and men suffer from varying intensity of the symptoms. According to most physicians at any given time, 8-12 per cent of Delhi's population is suffering from viral or unknown fevers, and peaks of viral fevers are spreading out evenly to become a regular feature of the city's woes. So far, no one in the city of Delhi has succumbed to any of these widely prevalent viral fevers claim doctors. Doctors too admit an increased prevalence and incidence of the fevers and some also perceive that the fevers are gaining virulence. But no one knows what are the types of fevers and what causes them. The city that never sleeps boasts of some of the oldest medical institutions in the country. The local people claim that they have the best infrastructure and municipal services. But all this confidence withers away each time an epidemic strikes. Every monsoon, people residing in the slums brace themselves for waterborne fevers and other mystery diseases. One such disease is Leptospirosis. Public health experts complain that patients register first in private hospitals that have no clue in diagnosing and treating patients. The disease is often confused with other diseases like jaundice and malaria. Hence the first few affected are the early victims of the disease. Municipal authorities and government hospitals remain secretive about the emergence and hope that the disease is actually a stray incident rather than an epidemic. This year like any other year, Mumbai was greeted with the disease. Leptospirosis is a febrile illness caused by infection due to Leprospira interrogans -- which results from contact with the urine of infected animals, mainly rodents. The disease has struck earlier -- Patna (1985), Chennai (1988), Andamans (1993), Mysore (1997), Surat (1994), Mumbai (1999, 2000 and 2001), Kerala (since 1993) and all along the Malabar belt. Between April and May 1998, the suburban town of Delhi experienced a "mystery illness" that claimed the lives of more than 15 children. Tests conducted by NICD failed to establish the cause. As in many cases in the past (see box: The X-files). Children below the age of four complained of vomiting, loose motions and fever to certain private physicians. Broad-spectrum antibiotics and anti-pyretic drugs were administered. But these led to complications: the children could not pass urine and later developed renal failure. They were then shifted to hospitals in Delhi, where they were put under peritoneal dialysis. A few days later they slipped into coma and died within the next few days. A team from NICD collected samples, but their analysis has established very little. Doctors and medical experts are at loggerheads about the cause of this illness. Some say that it was due to indiscriminate and inappropriate use of drugs. But NICD has still a lot to answer. Mystery forever. This is the impression that one gets while analysing past outbreaks of mystery fever in India. Whether it is the unusual fever in Gujarat’s Sabarkantha district that affected 20,000 people in 1980 or the recent 31 deaths in Thoram of Andhra Pradesh’s Vizianagaram district in 1996. The National Institute of Communicable Diseases (NICD), which is supposed to identify such fevers, admits its inability to identify them in its annual reports. NICD director, K K Datta, attributes this to bad sampling and misreporting by local health centres. May-August, 1980 Sabarkantha district, Gujarat Around 20,000 people were affected by an unusual fever. Three people died. 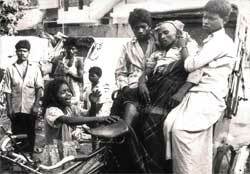 May-August, 1980 Baroda, Gujarat 20 people got a fever, two died. 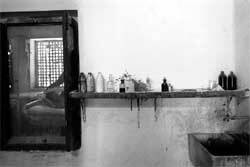 April-May, 1982 Sikar, Rajasthan 15 people died of a fever that affected adolescents and adults. August-Septemebr, 1983 Shimla, Himachal Pradesh 17 people died due to a fever. February-March, 1984 Ahmedabad, Gujarat Five people died due to a fever. June, 1996 Vizianagaram district, Andhra Pradesh More than 30 people died in six tribal populated villages. October, 1997 Meerut, Uttar Pradesh 19 people died of a mysterious disease. Our relationship with infectious pathogens is a part of our evolutionary drama. Simply put, microorganisms have a selfish interest in our survival. When humans develop resistance to the pathogen's virulence, the pathogen finds ways to evade this acquired immunity. This cat and mouse relationship is central to this drama. Historically, the emergence of disease is possibly related closely to humans furrowing the Earth for cultivating crops and domesticating animals. With the dog came measles, the cow brought home tuberculosis and diphtheria after it grazed along with wild deer and antelopes, influenza hitch hiked upon horses, and anthrax popped out of the soil and infected humans and animals. Diseases that emerge due to ecological changes and deforestation is possibly the most important among these. In tropical forests, deforestation releases vectors like mosquitoes and ticks, which compete for the limited resources that remain. Deforestation in forest fringes exposes land to sunlight and promotes the development of temporary pools of water, thus favouring the breeding of human-biting, fever-transmitting mosquitoes. Almost all biting insects carry or can potentially carry a pathogen. A clearance usually leads to establishments of forest villages of communities that migrate from other places. Large mammals like pigs, antelopes, rodents and bats among others are reservoirs of food for vectors and a breeding ground for pathogens. When a few reservoirs are left, vectors explore new options which brings them in contact with the newly settled humans. The real challenge for an organism, if it has to establish as a new human disease, is to develop the ability to infect humans consistently and also develop a reliable means of transmission through a vector between the reservoir and a new host, humans. As in the case of ebola. The ebola virus first emerged in two major disease outbreaks, which occurred almost simultaneously in Zaire and Sudan in 1976. Over 500 cases were reported, with mortality rates of 88 per cent in Zaire and 53 per cent in Sudan. Richard Preston in his acclaimed book The Hot Zone startled the world saying that the resurfacing of viruses like ebola was due to ecological degradation. In cities, changes in the urban ecosystems are frequent. Clogged sewers, mounting heaps of garbage, hospital wastes and intermixing of migrant populations promote the movement of the pathogens and explore new vectors. But why are cities like Kolkata or Siliguri more prone to such unknown diseases than others? Apparently it's got to do with their geo-political positioning. Let's take Siliguri. It is perhaps the fastest growing city in West Bengal, with some of its wards recording a growth of over 200 per cent since the last census. The migrants from neighbouring countries contribute to much of its growth. Incidentally, Siliguri also happens to be one of the most porous areas of the country sharing its borders with Nepal, Bhutan and Bangladesh. Experts say that in the absence of a monitoring mechanism, there is no check on what sort of diseases are being carried by these people coming from other places. Does a changing environmental and ecological equation have any significant role to play in this development? Environmentalist Dhrubojyoti Ghosh believes that there is still insufficient data to indicate a clear cause-effect relationship between environment and unknown fever diseases. However, the role of degrading environment still cannot be entirely ruled out as it is common knowledge that vector-borne diseases thrive in such environs. New infections emerge when an animal pathogen breaks the species barrier and infects human beings. Animal diseases that are capable of invading human cells (called zoonotic diseases), evade the host's immune system, establish and reproduce in these cells and produce fevers, inflammation, bleeding and disorders as a symptom in the host. David Conway and Cally Roper (International Journal of Parasitology , Vol 30 (2000) p1423-30) have used models to show how barriers to transmission between animal and humans are breached and describe the four modes of cross over. Using molecular evolutionary studies, they suggest that the current distribution of dna sequence variations is an important source of information. These sequences reveal past and current changes in pathogen population structures and identify the adaptive changes in pathogen genes that helped them become virulent to humans. 'Exclusively zoonotic diseases' are infections that crossed over to humans from animals but are not transmitted from human to human, like the dreaded Hanta virus and rabies. Humans serve as the dead end for the evolution of such infections because humans rarely re-infect animals. Some infections become 'mainly zoonotic' and survive as viable populations within animal reservoirs (like ebola and bovine tuberculosis) and are transmitted to humans only occasionally. 'Partially zoonotic diseases' can be acquired from animals but are also endemic to humans. Prevention of these infections may not eradicate endemic infection (and vice versa). Some diseases originating in animals have evolved into human forms (like hiv-aids has evolved from the Simian Immunodeficiency Virus (siv)) are termed as 'originally zoonotic infections'. Conway and Roper's work shows how through complex and varied mechanisms pathogens adapt to cross over from animals to humans. In 1997, a bird flu "jumped the species barrier" from chickens to people in Hong Kong. A similar "jump" caused an influenza epidemic that killed about 20 million people in 1918 worldwide. Some infections become 'mainly zoonotic' and survive as viable populations within animal reservoirs (like ebola and bovine tuberculosis) and are transmitted to humans only occasionally. 'Partially zoonotic diseases' can be acquired from animals but are also endemic to humans. Prevention of these infections may not eradicate endemic infection (and vice versa). Some diseases originating in animals have evolved into human forms (like hiv-aids has evolved from the Simian Immunodeficiency Virus (siv)) are termed as 'originally zoonotic infections'. Conway and Roper's work shows how through complex and varied mechanisms pathogens adapt to cross over from animals to humans. In 1997, a bird flu "jumped the species barrier" from chickens to people in Hong Kong. A similar "jump" caused an influenza epidemic that killed about 20 million people in 1918 worldwide. Mystery fevers are an indicator of the evolutionary success of microorganisms. Pathogens that cause unknown fevers are usually viruses, and exceptionally bacteria or other microbes. They remain undetected because they have an extremely short and rapid life cycle and it is difficult to isolate, culture and grow these viruses in laboratories. Viruses are lifeless organisation of a genetic material (rna or dna, never both) and a protein coat, and show signs of life only when they enter a host. They can develop extreme virulence from being benign organisms in a matter of a few (microbial) generations. Microorganisms, especially viruses, can mutate their heritable genetic material more quickly because they are relatively small in size. They can add genetic material from the host's genome and become extremely diverse in matter of a single generation. Their success as a group relies on the high rates at which genes are shuffled by recombination, producing virtually every perceivable permutation and combination of genetic arrangement. However, only a few of these new variants may have a virulent form. Often associations with other organisms help. The cholera bacterium is more virulent to humans when infected by a particular virus. On an average a virus has about 4,000 bases (the simple building blocks of genes), which means that a few million permutations in their genetic arrangements are possible. Viruses either have single and double stranded dna or rna; the rates of mutation vary vastly. Size of the genome and infectivity, numbers of hosts infected and number of generations produced too affect this greatly. Thankfully, not all mutations are possible -- some of these mutations are lethal for the virus itself. The few pathogens that develop effective virulence may still not be able to invade another host because they may be too few or too "weak". This means that if a requisite inoculum size is not achieved then the host may overcome the infection and dash the virulent ambition of the pathogen. This phenomenon is called a transmission bottleneck, which can drive down the virulence of a pathogen. Two distinct methods of transmission occur. In vertical transmission, infections are transmitted from mother to child or vertically across generation. In horizontal transmission, infections are transmitted to all susceptible hosts in the population like in the case of the common cold and infectious fevers. According to an interesting hypothesis by Paul Ewald of Amherst College, usa, virulence of pathogens is low in vertically transmitted diseases as they depend entirely on the survival of their host. Pathogens transmitted horizontally are more virulent and can even kill their hosts as long as they manage to move on to new victims (see table: Paths of a pathogen ). According to Carl Bergstrom, professor of biology at Washington University, usa, transmission is a tight "bottleneck" for a number of diseases. He contends that similarly sized bottlenecks have greater genetic consequences on vertically transmitted pathogens than on horizontally transmitted pathogens. Together these transmission modes determine the evolutionary and virulent fate of the viruses. An organism, it appears, is guided by a certain pathological destiny -- either to have a short evolutionary life but have an extremely virulent form or to have a long evolutionary life but live in benign co-existence with the host. Pathogens too don't have it all easy. Millions of bacteria compete among themselves in an endless turf battle, jostling for space in the human gut or sweat-laden folds of the skin. It makes perfect sense that they would evolve means to survive and fight off competitors and devise means to invade the human cell more rapidly, producing near perfect replicants, which burst out of the host cell to invade new cells in a new host. All this must be done before a more powerful pathogen arrives and stakes claim on a host cell. But not all infections may be successful. Many unknown pathogens are widely present in the environment and are easily communicable to susceptible individuals in a population. But there are resistant individuals in the population who don't contract these infections, and their presence protects the rest. This paradoxical mechanism is called herd immunity and has been harnessed for attempts to control diseases. If you immunise say 90 per cent of the schoolchildren against measles, then the measles virus can no longer spread because there are too few susceptible children in the population. The immunised majority protects the un-immunised minority. But if you let your guard down for a moment, and the immunisation rate drops below 90 per cent, then the virus that has been hiding somewhere, reappears and there is a measles outbreak. The phenomenon may apply to naturally occurring immunity as well. Most diseases have an ecological basis to their origin. Seasons and changing climate too assist the emergence of diseases. In poor states like Bihar and Orissa there is a distinct 'microbial traffic', a virtual succession of infectious microbes. Even causalities have a pattern: due to water scarcity during summer, contaminated water leads to diarrhoea, which particularly affects children and older people. During the rainy season, malaria and fevers of unknown origins emerge, all age groups are affected but the effect on young women and pregnant women is more. If a natural calamity like flood or cyclone arrives, then malaria recurs, and cholera and other gastro-intestinal infections follow which affect young adolescents and children more than adults. In winter the paucity of food causes widespread hunger and leads to malnutrition, makes people more susceptible to infections, thereby providing an ideal environment for the spread of diseases. There are distinct patterns of succession of diseases with changing seasons. In cities of north India, when the winters end abruptly, a spate of viral infections descends on the cities and the villages alike. There is little climate variability in the rest of the country except the coming of the monsoon. Winters are milder and summers like the rest of the country is hot. Forest and rural areas in India have their fair share of viral diseases. Kyasanur forest disease seen in Uttara Kannara and Shimoga districts of Karnataka is a tick borne fever that causes fever and body ache. Recently, the viral meningitis in Bellary claimed a dozen lives. Its origins and causes remain unknown. Recurrent febrile illnesses emerge sporadically in central India, especially in central Maharashtra, Madhya Pradesh, Andhra Pradesh, Tamil Nadu , Orissa, Bihar and eastern Uttar Pradesh. Threats from ecological changes in neighbouring countries leads to migration. For example, rural families from eastern Nepal migrate to the forests and the plains of upper Assam every year. With them they bring their livestock, especially buffaloes, each infected by a benign virus called the Karyovirus-II. When these families settle around the forest fringes, a chance encounter with a new vector increases the possiblities of its spread to humans. The fever causes severe haemorrhagic fever, bleeding and death. Like the Karyovirus of Nepal, there are many fevers -- Crimean Congo Haemorrhagic fever in Pakistan and the numerous diarrhoeal diseases in Bangladesh -- waiting to nurture their virulent ambition in India. What is more significant in disease ecology is not how mutated viruses and other pathogens become established in humans, but how ecological change contributes to its emergence. Causal factors -- changes in land use, human activities and urbanisation -- are integrated with ecological factors to cause mutation, changes in the pool of hosts and reservoirs and other elements. These in turn affect both human and animal hosts, as well as vectors. Moreover, air, water or soil pollutants or other stresses affect humans and other species in the ecosystem. Polluted habitats are an ideal environment for these pathogens. Pollution reduces human immunity. And some pollutants can promote the growth and proliferation of some pathogens. Arvind lal of Delhi's Lal Path Labs has been in the pathological diagnostics business for the past three decades. "Prescriptions instruct what tests should be conducted. If a pathogen is absent, we do not report the presence of another. So, many diseases remain undiagnosed, though they can be easily identified," says Lal. "Twenty per cent of the cases that we receive remained undiagnosed and are presumed to be fevers of unknown origin," says J N Pande, head of medicine at the All India Institute of Medical Sciences, New Delhi. Most doctors in India do not believe that there are unknown pathogens that cause these fevers. "There is nothing like an unknown or a mystery fever, they just remain undiagnosed," contends B K Ram, G T B Hospital, New Delhi. "Fevers are symptoms that are meant to be treated with a variety of antibiotics. Only serious infections such as meningitis call for pathological tests," says Ram. "When we fail to control a fever, we prescribe medication for malaria or tuberculosis depending on the symptoms," says A K Singh, deputy superintendent, Patna Medical College Hospital, and claims, "this is the World Health Organisation (who) protocol for tropical countries." Warding off the threat of an epidemic by using a broad spectrum of antibiotics may appear to be a potent option. But the risks attendant on this course of action are many. For one, it is probable that the medication will suppress the symptom without treating the condition. Another alarming possibility is that it may induce resistance in the pathogen even before it is identified. Hard-pressed for time as they are in view of the large number and heterogeneity of their patients, doctors too do not anticipate mysterious fevers. Most experts aver that identification of pathogens is quite elementary. But complications arise because diseases go unreported at the grassroots level. "They remain unidentified because samples are collected without considering where the pathogen is likely to exist," says K K Datta, director, National Institute of Communicable Diseases (nicd). If the disease is not reported, it does not find mention in the documents published by the institutes, thus remaining a mystery. nicd, which 'occasionally' publishes annual reports, brought into focus several mystery fevers raging across the nation in the 1980s. While these unknown ailments struck Sabarkantha and Baroda in Gujarat in 1982, they surfaced in Sikar, Rajasthan, in 1983. Two state capitals -- Shimla (Himachal Pradesh) and Jaipur (Rajasthan) -- were afflicted in 1984. The fevers were detected in Ahmedabad in Gujarat in 1996, while Vizianagaram (Andhra Pradesh) and Meerut (Uttar Pradesh) experienced them in the following year. Let alone unidentified fevers, even some known diseases pose problems in detection. Take, for instance, the cases of the plague in Surat and leptospirosis in Mumbai. Datta says that some diseases fail to appear on pathologists' 'radar'. So when they strike, diagnosis is difficult. Kalyan Banerjee, former director of National Institute of Virology, Pune, believes changes in the pathogen can modify the symptoms and delay diagnosis. This was demonstrated by the many strains of dengue. Such an outbreak necessitates laboratory investigation, only after which can diagnosis be done. "The tendency to term a fever 'unknown and mysterious' shows our inability to identify a particular change in a pathogen's character," says S K Kar, director of the Regional Centre for Medical Research (rcmr), Bhubaneswar. To identify the disease quickly, there must be an enduring pursuit of the knowledge which the country lacks, rues Banerjee. Some experts like N S Deodhar, former director of the All India Institute of Hygiene and Public Health in Kolkata, feel that unknown diseases are directly proportionate to the ignorance of the people identifying the pathogen. When an unidentified fever strikes, the usual cover-ups are resorted to. Even if the local media brings it to the attention of the public, medical agencies dismiss these reports and make the ailment out to be malaria (especially cerebral malaria), Japanese encephalitis, dengue, cholera or gastroenteritis. If, however, the symptoms don't match any of these diseases and higher-ups are not convinced, it is promptly termed a mystery fever. One of the reasons why unidentified fevers go undetected is that research bodies undertake disease-specific studies. Most Indian Council for Medical Research (icmr) institutes are working on very specific diseases and are not trained to identify unknown organisms.The Regional Medical Research Centre for Tribals in Jabalpur, Madhya Pradesh, which has been active for the past 17 years, has only focused on yaws (a form of syphilis) and malaria. Though its director, R S Tiwari, admits that unknown and mysterious fevers exist, his institute is yet to identify a single one. Neeru Singh, field director of Malaria Research Centre (mrc), Jabalpur, also acknowledges that mystery fevers are lurking but clarifies that mrc is focusing on malaria only. P K Sinha of Rajendra Medical Research Institute, Patna, says that among the infectious diseases his research is restricted to kala azar. There is infrastructure to tackle such diseases. bsl-4 lab (Biosafety level 4) is one such facility to study and control known and unknown viruses. There are around 28 bsl-4 labs in the world, some even in developing countries such as Brazil and Iraq. But India lacks one. The National Institute of Virology (niv), Pune, was established in 1952 precisely for this purpose. It was earlier called Virus Research Centre. The institute claims to have investigated more than 200 epidemics caused by viruses and identified most of them. It is another matter that niv has failed to predict, prevent or control an epidemic. It launched a project in 1977 to develop a bsl-4 level laboratory. But even after 23 years and Rs 12.87 crore spent, the project is yet to take off. "As compared to the global infectious disease surveillance system of the who, the indigenous mechanism is poor. The Union ministry of health gets to know about epidemics through media reports instead of the public health workers," says Deodhar. Even then scientists and health officials usually wait for the affected state's government to contact them. According to Deodhar, surveillance studies are not conducted properly as diagnosis is descriptive rather than analytical. who uses a semi-automated web crawler that scans news available on the Internet to identify epidemics. After verifying these epidemics, it disseminates the information through the global outbreak alert and response network. who is trying to map epidemic-prone areas through computers. It has also developed an Early Warning and Response Network (ewarn) to detect seven major diseases and ensure rapid response for their control. The us-based Centres for Disease Control (cdc) has also evolved a method to report and identify infectious diseases. Unfortunately, such collaborations are not taking place in India, thanks to the bureaucratic set-up. "Early detection of a disease is possible only if an organisation like the nicd becomes an autonomous body," feels Datta. This would still not address the issue regarding the control of diseases. The national health policy, 2001, accepts the shortcomings in the disease surveillance system and hopes to overhaul the system by the year 2005. Unfortunately the focus is once again on known diseases and their control, while new and emerging diseases have not even been mentioned. Precautions to either contain the spread of the disease or the control of vectors are also not taken. "Every year chicken pox and mumps epidemics occur when schools reopen in the summer. But routine vaccinations are not carried out," says A S Daga, assistant professor of preventive and social medicine, at the Grant Medical College, Mumbai. Deodhar highlights another glaring case. All patients suspected to have plague in Surat were housed together. This led to the spread of the disease to even those who had not contracted it earlier, he says. Even when precautions are taken, they do not have a scientific basis. For example, during the plague outbreak, the Nirman Bhawan and icmr buildings in New Delhi were treated with insecticides, reveals Deodhar. These control measures are empirical and not specific and, therefore, ineffective. The lack of coordination between the state and Union governments and even between various ministries at the Centre is one of the major reasons for the delay in identification and control of diseases. Consequently, even the decrepit infrastructure that is available lies idle. Lalji Singh, director of Centre for Cellular and Molecular Biology (ccmb), Hyderabad, says that they are capable of identifying any microorganism if it is isolated and sent to them. But Datta says collaboration is difficult. When ccmb was asked to identify the causal agent of the Siliguri fever, the institute asked for the cost of the chemicals. This could not be given as the sample was already being sent to niv, which is said to have more expertise in the field of virus identification. According to Banerjee, the surveillance mechanism should be integrated with the public health system so that an outbreak can be reported as soon as it occurs. Deodhar believes that decentralisation of healthcare systems is the solution to the problem. Strict protocols of 'what, how and when' samples should be prepared and collected. "At present, even medical colleges do not have adequate facilities to identify causal organisms," says Daga. Experts feel that along with investment in equipment, the staff must be supplemented with training people in epidemiology. An important step towards facilitating the identification of pathogens would be to develop a repository of pathogens. Every mystery fever is an evolutionary success story. From oblivion to pandemic proportions, pathogens make it look remarkably simple. Diffusion of people, mixing of species, poverty, war, squalor, environmental change and susceptible populations, all contribute to their rise. These influences need to be built into a strong disease surveillance system. The best that governments, institutions and communities can do is to keep a few paces ahead of the disease through constant monitoring, simple hygiene and some common sense.